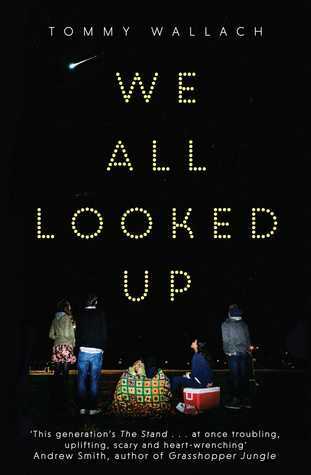 We All Looked Up was a story of four teenagers whose lives was changed by an asteroid called Ardor that will hit the Earth in two months, which will cause "end of the world". From that simple yet fresh premise I can already see myself engaged in this book. And I was right. There's Peter, the athlete. I like that Peter isn't afraid of what a higher person says. On some novels, it bothered me how negatively [teen] characters react towards "shrinks", counseling, or the truth. I like Peter's open-mindedness, and the book. Eliza, the outcast, was a distant girl before but after history with Peter, became the S-word. Andy, the slacker, who cares about nothing--except getting laid (at last) before Ardor would either make or break the world. He had the most character improvement and I liked it very much. Anita, is an overachiever and talented singer. She's different from the rest--like, good girl and all--but I'm glad she didn't turned out a bore. There were a lot of different wisdom, sayings, realizations on every character. It gave the book more depth and edge but not in an overly dramatic way. This book plainly shows how people would act/what would happen if the end of the world is coming and how judging people by mere appearances/labels isn't fair and untrue. This book is wild and reckless and liberated and quite heartbreaking in the end. It's about self-discovery, forgiveness, love, chances, hope, romantic and family relationships, and finding the real friend. One of the most real thing I've read this year. Readers of any genre would appreciate this as well. 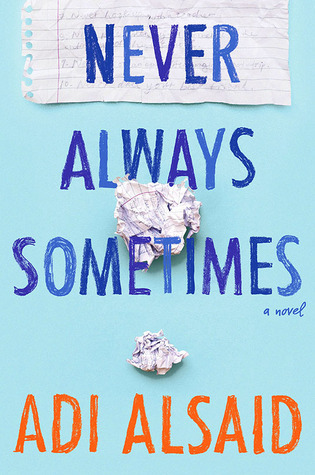 *Thank you so much Pinoy Book Tours for lending a review copy in exchange of an honest review! I really want to check out this book! I've been wanting to check this one out for a while, especially because I've been adoring contemporaries lately. Great review!